Beveloid gears have their own new module in the KISSsoft system (module ZH1). Sizing and dimensioning of beveloid gears have been implemented based on cylindrical gear standards, which also makes it possible to consider load spectra. 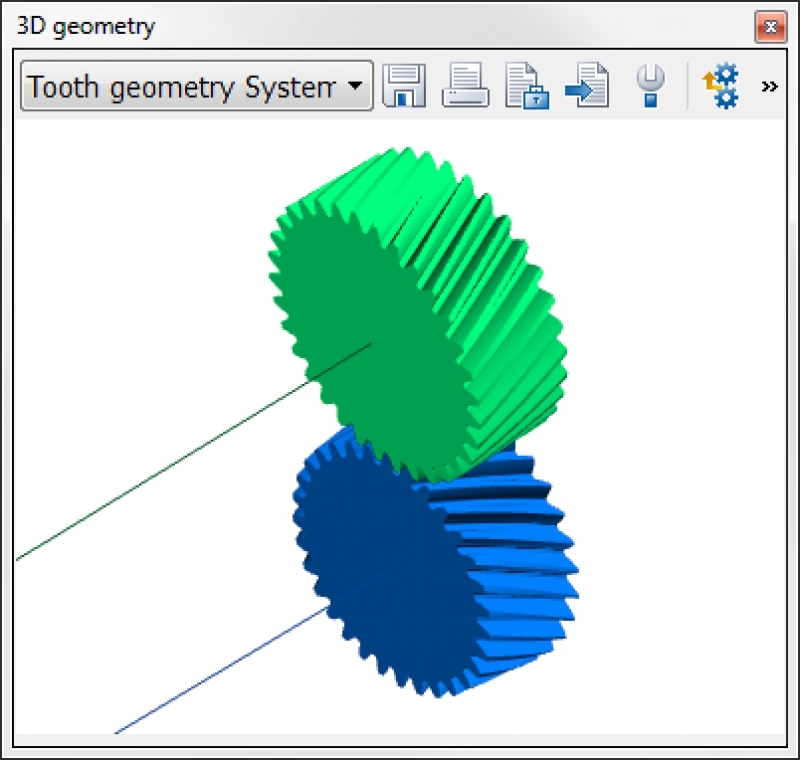 The usual flank modifications, such as helix angle modification or negative crowning, are still available to help optimize tooth contact in a 3D model. Finally, tooth contact can be verified using the graphical contact analysis method, and the models can be exported for various purposes, such as FE analysis, 5-axis milling, or output to a measurement grid.